Dave Heine is a licensed real estate broker in Montana and holds the Accredited Rural Appraisal designation from the American Society of Farm Managers and Rural Appraisers. He is also a certified general appraiser with the State of Montana and has served on the state appraisal board for six years. Dave grew-up in Northwest Montana and spent his early years hunting, fishing and chasing cows. After graduating from Flathead High School in 1978, he earned his Bachelor’s degree in Farm Management from Montana State University and proceeded to follow with a master’s degree in Agricultural Economics at Washington State University. His thesis was based on the economics of commodity feeding in western Washington after which a software program was developed in cooperation with the extension service to analyze the economics of commodity feeding that could be used by dairyman throughout the inter-mountain west. Dave specializes in rural appraisal issues with an emphasis on farms, ranches, timberland, and conservation easements. Through his appraisal assignments he has developed many relationships throughout Montana and the entire inter-mountain west. This network of appraisers, lenders, ranchers, farmers, outdoors man and others with real estate interests is a valuable asset to all of his clients. Dave has spent many years working in agricultural pursuits and enjoys many of the outdoor hobbies that Montana is known for. Having lived in Montana for more than 40 years, Dave enjoys hunting, fishing, farming, and ranching which he feels are additional aspects that contribute to appraising, and brokering real estate. This experience, familiarity and knowledge of Montana are a valuable asset he uses to benefit his clients. He feels there is no better way to spend your day than looking at property outside of town whether it is in western or eastern Montana, whether it is ranch land or timberland, whether it has easy or difficult access. He enjoys it all. Dave returned to the cattle and hay operation in the Flathead Valley after his master’s degree. In the mid 1990’s he turned the hay operation over to a neighbor and focused primarily on real estate and his appraisal work. He continues to develop his real estate and appraisal businesses to meet the needs of the current real estate buyers and sellers helping them make wise investments and sales in order to meet their real estate goals. 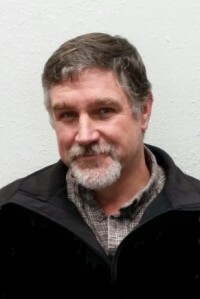 You, as a seller or a buyer, can take advantage of the analysis skills and the networking that Dave has cultivated through his appraisal, real estate and agricultural connections developed far beyond the borders of the Flathead Valley. Dave lives on a 200 acre irrigated farm just north of Flathead Lake with his wife, Sandi, and their four kids. They are involved in raising various crops, bird dogs, and game birds. When he isn’t “at the office” Dave is trying to out-fish or out-shoot the kids or he may be found outside working with a bird dog or on the latest “project”.